The bloody garden won’t stop producing apples. 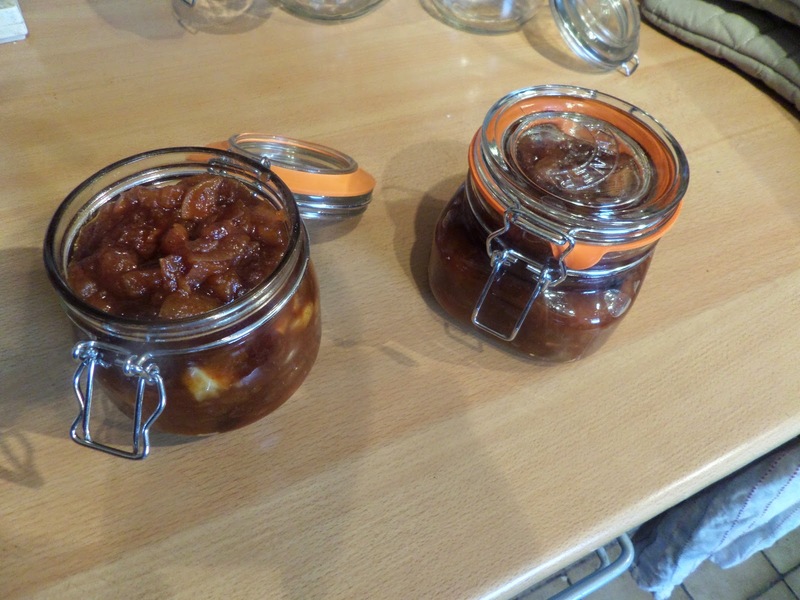 We’ve already got a freezer full of stewed apples, so I’ve decided to do something a bit different with this week’s harvest and do a spicy apple chutney from this BBC Food recipe. 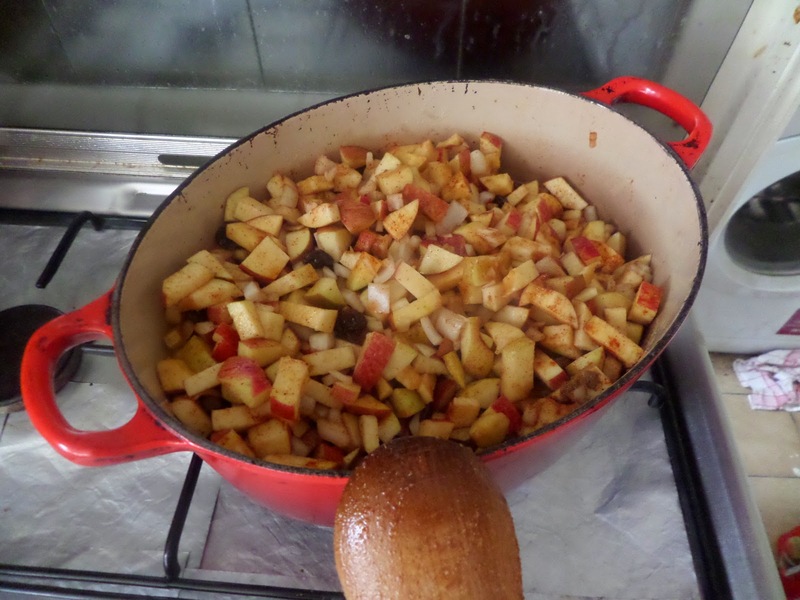 Thankfully the recipe doesn’t call for peeling the apples, just coring and chopping. 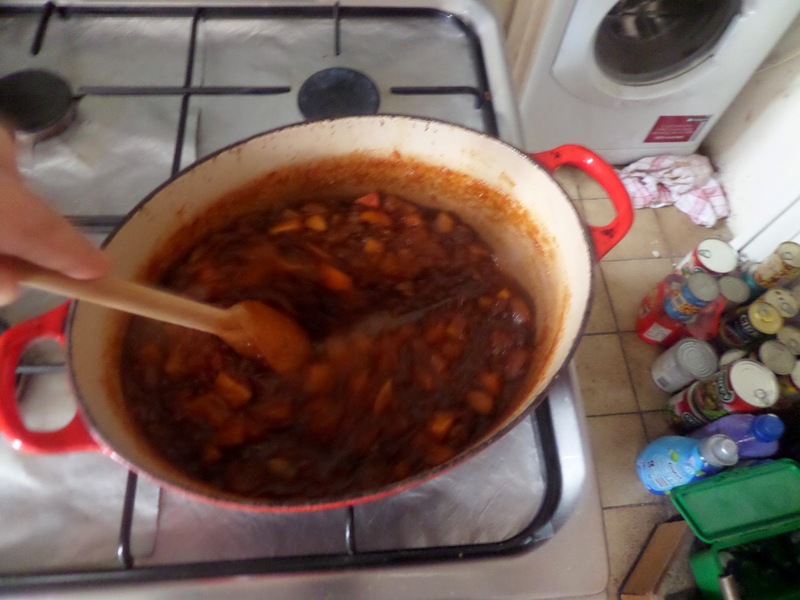 Then it’s just bung everything in a pot and bring to the boil. After a couple of hours simmering it’s turned into a thick sauce. This gets put into sterilised Kilner jars and put in a dark place. For three months. So… ready in time for Christmas! I might give that recipe a go as I’ve got plenty of apples in my garden too.